Your efforts and support are appreciated! 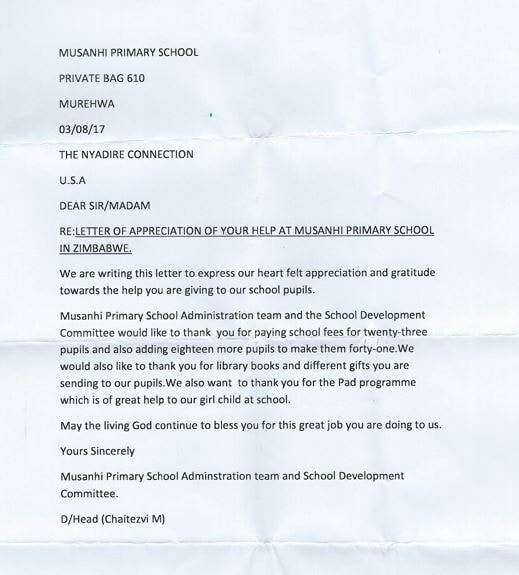 Please read this letter from the Musanhi Primary School Administration regarding TNC's programs. Together, we are making a difference.